Another short wine review today, while working on bigger posts for the upcoming posts. Nina is a big fan of malbecs, so we acquired a number of them in the past months. I have no particular opinion on malbec, but there are times when I enjoy bold red wines, and malbecs can have that quality to them. We received this particular bottle as a gift from friends. It was our first malbec by Domaine Jean Bousquet. The label says the wine was made with organically grown grapes in the Tupungato Valley of Argentina. The neck of the bottle is adorned with a sticker “Best Buy 89 Points Wine Enthusiast New Release”. The website states that Jean Bousquet is a Frenchman who owned 120 hectares of vineyards around Carcassonne, France, before he bought 110 hectares (265 acres) in Tupungato Valley, Mendoza, Argentina in 1997 and planted vines there. The stated goal is to combine European winemaking with the terroir of Mendoza Valley. The winery produces three lines of wines: Domaine Jean Bousquet as the estate wines with grapes grown on their property (with reserva and grand reserve), Santa Bax sparkling wines and Cameleon. 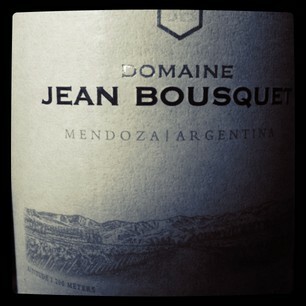 Our 2010 Domaine Jean Bousquet Malbec is the basic wine of their estate grown grapes. 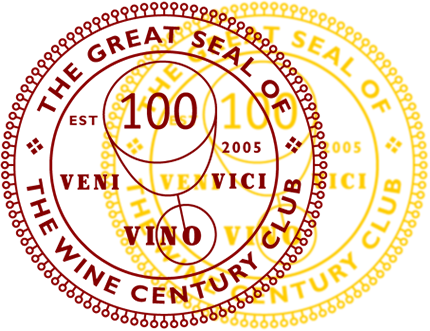 The website indicates that the 2010 vintage won several bronze medals in international contests. Apparently the 2009 vintage was very good, with a gold medal from Mundus Vini and the above mentioned Wine Enthusiast rating. I will take this opportunity to state my disdain for this practice: I have no problem with bottles being marketed with prizes they actually won. But here, it is very clear that the Wine Enthusiast rating that is being advertised does not apply to the current vintage. The words “New Release”, which try to indicate that fact, are not very helpful. Ratings are problematic by themselves already, but slapping a rating on a bottle that does not apply to the current vintage (and not stating that fact in clear terms!) in my view is deceptive. But on to the wine: It poured in a dark, ruby red. The nose was disappointingly green and alcoholic, rather prominent oak and unpleasant memories of cold mulled wine. On the palate, the wine was surprisingly medium bodied, with a nice jammy fruit of red berries with good acidity. It was better on the palate than the nose let on. The finish was short. The 14% ABV were not noticeable, it was easy to drink. There was really nothing memorable about the wine. The wine seems to retail for around $11, which is an ok price for an unexciting, but drinkable wine. The nose was definitely off-putting and a downer. Thank you all for your comments, very much appreciated! I agree with you, Tracy, that as long as we let ourselves be impressed with ratings, they will be used to influence us wherever they can. This sticker was definitely a professional sticker attached to the capsule over the cork. It was either the winery or the importer (which I find more likely) who attached it. And it is definitely deceptive. Thank you for your advice, Talk-A-Vino, I think we have a Trapiche here (Nina is plotting a malbec tasting in the near future), and I will look out for Broquel, too. Thanks for your wine review and comment, Julian! Very much appreciated. I am not entirely certain wine awards are bought, but there are definitely many flaws, take for example the sheer number of wines tasted and reviewed in one session. If it is non blind, the flaws become even more obvious. The 2009 vintage of their Malbec wasn’t that great actually. At least not that good that I will buy it again. Many wine awards are handed out to the winery that pays the most money. Of course they don’t publicly admit that. If you take Robert Parker for example then there is a big controversy about him. Many accuse him that his reviews are being biased towards advertising wineries. But the bigger problem, I think, is a society that is SO impressed by awards, any awards. It’s almost a willful self-deception by consumers, because we all know that the contests cannot be entirely fair and judges can never be entirely impartial. The awards are really not very meaningful, but the marketers continue to flash awards because it’s still one of the best ways to grab a browser’s attention.